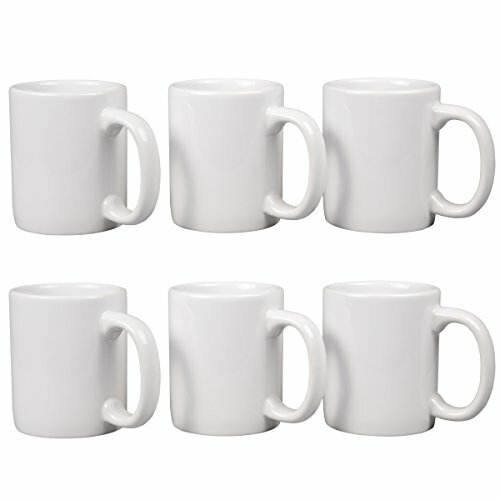 Our Coffee Mug / Tea Cup which include 6 mugs per set, it is made of ceramics stoneware, FDA certificated and Lead-Free. This set of 6 coffee mugs adopt ultra-thick and premium grade ceramics, they will stand up functional and aesthetic to everyday use. Dimensions: 3-1/4” Diam. x 4 “ H, each cup can holds 12 ounce capacity, it is perfect for your coffee, tea, hot cocoa or soup and more. From your kitchen , office even commercial restaurant, these attractive coffee mug just right fit in anywhere.